Perhaps the most misguided belief about tutoring services available to college students today is the idea that tutoring is only needed when a pupil is falling behind or failing a subject. On the contrary, obtaining a tutor, or using your college’s various tutoring services, is a great way for students of all degrees, disciplines, academic years and levels of study to excel in their academic work. According to the Statistics in Belief article, Students Use of Tutorial Services (2009), “tutoring has a history as a toll to improve students’ academic achievement in the United States.” Tutoring is a means by which all pupils can ensure they are making the most of their college experience. By doing so, graduates are able to apply all they’ve learned into a rewarding and successful after college experience. Tutoring services play a key role in the overall success of any college or university, not just the overall success of the students being tutored. The mission for any tutoring service is to ensure academic excellence for the whole of the student body by providing a place, assistance, group of people, and/or the right resources to encourage pupils to seek help when and where the need it. Tutoring is not a replacement for what can be learned in the classroom or from a professor or teacher. However, it is a strong resource for learning that works closely with and alongside what happens in the classroom and in home study. Tutoring is meant to aid a pupil through a subject, assignment or area of study that seems difficult otherwise. It is meant to be a comfortable alternative for receiving additional help from a professional teacher. Sometimes students feel intimidated by their professors and are unlikely or unwilling to ask them for help. Since talking to your professor can feel difficult, tutoring services offer an alternative, although not a replacement, when students need additional help with any subject matter. According to the California Research Bureau there are four main types of tutorial services offered at the collegiate level (Academic Tutoring and Mentoring: A Literature Review). Surrogate teaching happens when students delegate teaching to other students. Often times this is done in graduate programs with graduate or Ph.D. students teaching classes of undergrads or their peers. An example would be if a graduate student of American literature teaches an introductory course to other graduates in the same program. Proctoring happens when pupils engage in one-to-one tutoring from peers who are at a similar or lower level than they are. This is often called peer-to-peer tutoring and is one of the most commonly seen form of tutoring in universities across the United States. The goal of peer-to-peer tutoring is to master any particular area of study for both the tutor and the group of pupils. This can be seen when a student is self-paced, using guides, books and lectures only calling on the proctor to step in when necessary. Co-tutoring is similar to proctoring, but it is a bit more informal. 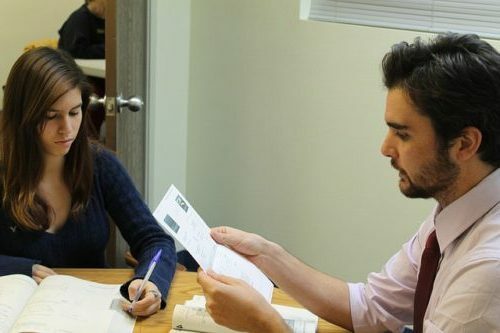 Where as a proctor is elected to take on the role of the tutor to help one particular student, co-tutoring involves two pupils who work together to tutor each other in a shared discipline or area of study. Sometimes co-tutoring can be formalized by an institution or university, and tutoring services will place students with others seeking the same type of help. This successful branch of tutoring allows students to encourage each other rather than one tutor or proctor lead another student in his or her learning. Teacherless groups are considered a variation on tutoring because it involves peer-led discussions in the absence of a professor, guide or teacher. In this way, the students essentially teach themselves by challenging each other and moving at a pace that suits the group. Often times teachers will assign work to the groups, but the peers themselves carry out the learning and teaching for each assignment on their own. Tutoring services can range from peer-to-peer help with particular assignments like research papers or presentations to help in a certain subject, and even to formal offices or campus centers like a writing center that offers a particular kind of tutoring service. Many campuses also offer research and library services within their libraries and focused tutoring centers within varying degree programs such as computer labs, math reviews, and science centers to name a few. The services you seek out may be one-time help or a reoccurring block of appointments to help you through a subject, project or class. Most tutoring centers have office hours, allow for consultations so you can find the right kind of tutoring help, and are flexible in how and when you receive your tutoring services. If you have any special requests, such as a learning disability, special concerns or mental health challenges, or if you are an ESL student, be sure to inform your tutoring department at the onset of your sessions so they can better serve you and your needs. If you are struggling in any subject, tutoring is a way to get a little extra help outside of the classroom. In addition, the tutor will be able to guide you through assignments and homework that may feel overwhelming otherwise. You can also get help and grow in areas outside your direct or indirect study like learning time management skills and getting clarification on your assignments. The techniques you acquire during your tutoring sessions will stay with you past college, into your career, and for years to come. If you are struggling in any subject or with any assignment, you should find help in a tutor. In fact, even if you are succeeding in your study, there are many additional benefits to working with a tutor. Let’s say you are getting good grades but still struggle when it comes down to managing your study time – a tutor can help. Or perhaps you understand your statistics class, but you want a stronger foundation in the subject for your major. 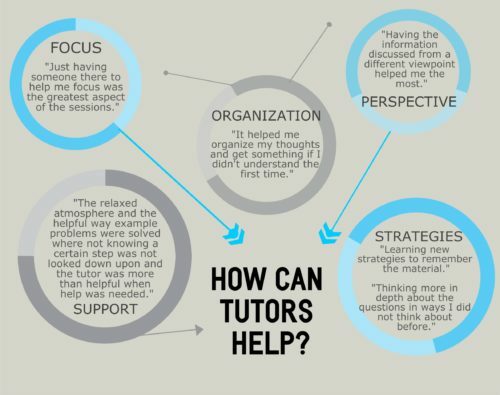 These are great reasons to seek out a tutor or visit your campus’ tutoring department. You’ll also want to seek help as soon as you realize you need it. Don’t wait till the last minute. If you know you have a major presentation due at the end of the semester in your business class, and you don’t know where to begin, seek help now. You don’t want to end up in a major time crunch just days before your deadline. In the same manner, even if you are just barely falling behind, go ahead and get help. It’s better to stay ahead than have to play catch up later. There are many benefits to all kinds of tutoring services the extend beyond the classroom, your grades, and even your college years. You will build your confidence by receiving help that leads to better grades and a stronger grasp of your subjects. You may make friends. Some students find after receiving tutoring help they feel stronger and more confident in a particular area of study or subject and then go on to become tutors themselves. Peer-to-peer tutoring in particular offers dual benefits. While the tutor is able to guide, aid and even lead the pupil through a difficult subject or assignment, studies show that the tutor oftentimes learns as well. Repetition leads to learning and retaining and by teaching what they already know, this repetition of a subject, idea or area of study deepens the understanding for the subject matter for the tutor as well. 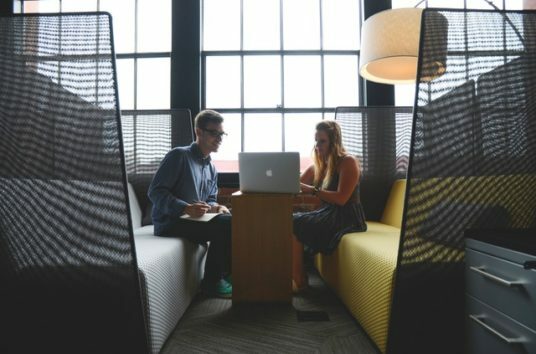 In addition, any techniques like time management, writing, communication or problem solving skills you gain from tutoring will certainly carry over into your adult life after college and your career. Your college or university has set up a tutoring department because they value their students and your specific success. It’s important that you take time to learn about what tutoring services are available to you and that you take pride in asking for help when you need it. One tutoring session alone could help you score that “A” grade you’ve been after. Take advantage of the services and learn what they can do to help you and improve the totality of your college experience as a whole. © 2019 Value Colleges. All Rights Reserved.